I am pretty sure there is no where else in the world like Disney’s Magic Kingdom. Visiting this park was on my bucket for a very long time. I was fortunate to cross it off of my bucket list last year, but I admit that I didn’t get as much time in the park as I would have liked. Last month I was able to make up for it when I visited the park while attending the Zootopia press event. My friend Mariah and I spent the day together, sans families, and had an amazing time. 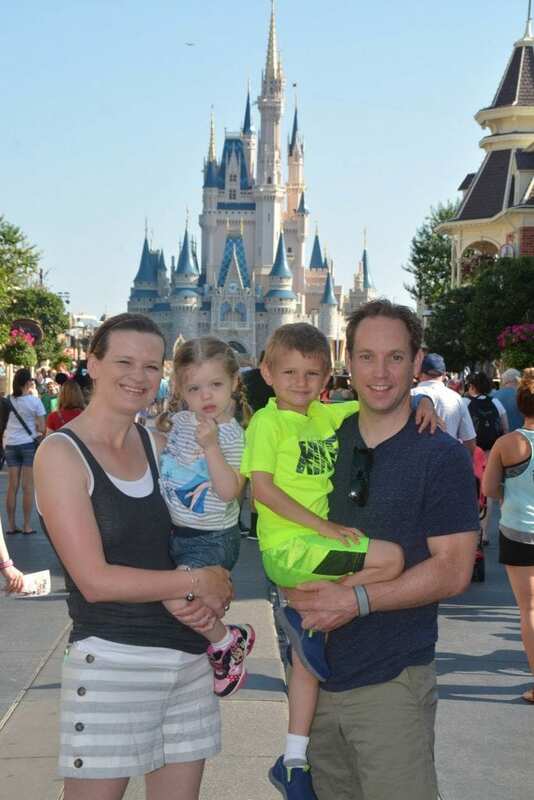 The magic of Disney’s Magic Kingdom is that the park is perfect for any age group. You can enjoy it as a family, a couple or even by yourself! The Magic Kingdom is home to several fantastic restaurants complete with character dinning that your kids will love. One morning, Mariah and I decided to have breakfast at the “it” place in the Magic Kingdom, Belle’s Castle at Be Our Guest restaurant. Finding reservations at this eatery can be a little difficult, but hang in there and keep trying. It is worth being able to see the inside of Belle and the Beast’s castle. The magic rose is there on display and there are many fun artifacts you may remember from the movie. Belle visits in the evenings so if your little girl is looking to meet her, this is a great way. Mariah and I also decided to do a little character dinning at the Crystal Palace. This buffet style restaurant is just off Main Street and houses some of my favorite Disney Characters from Winnie the Pooh! 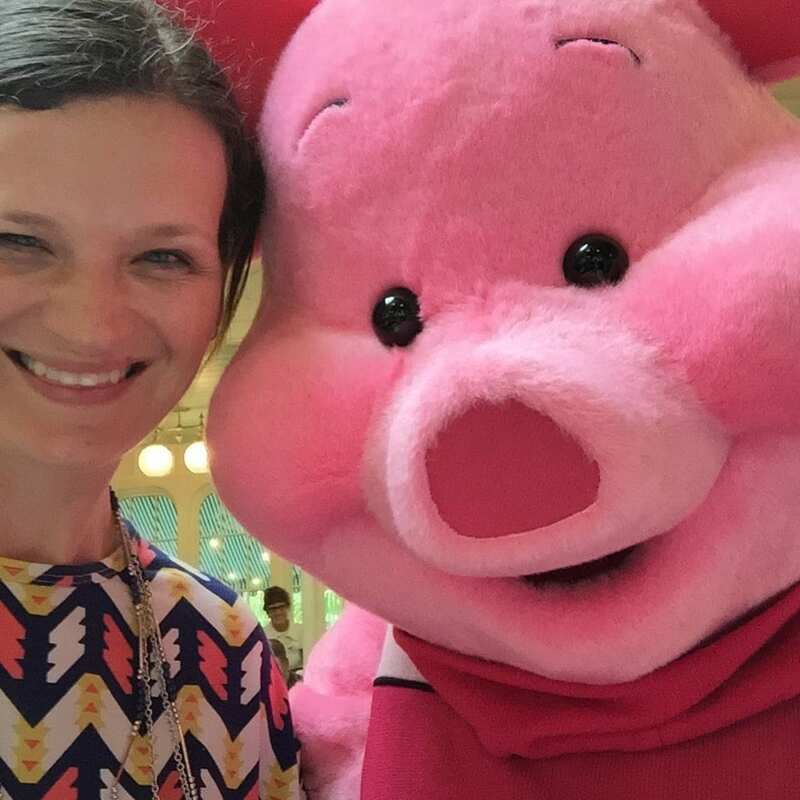 I had to get a selfie with Piglet! Character dinning is perfect for those who don’t want to wait in long lines in the parks waiting to meet their favorite Disney icon. There are many options in the Magic Kingdom, so be sure to check out your options before you leave on your vacation. Here is a great insider tip: If you book a breakfast at a Disney restaurant before the park officially opens they will allow you to enter the park early! We did that with our Be our Guest reservations and were able to skip the enormous line and we got pictures of the castle without a ton of people around! I made it my mission to try and ride every attraction that I was able to. I think we did pretty good. Magic Kingdom has a bit of everything for every member of your family. 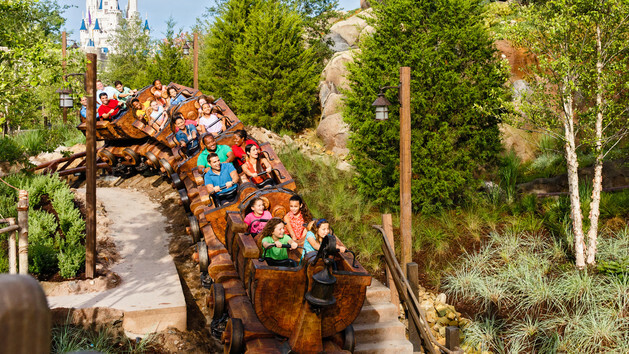 It is home to some iconic rides like the Magic Teacups and Dumbo, as well as new favorites like The Mine Train. 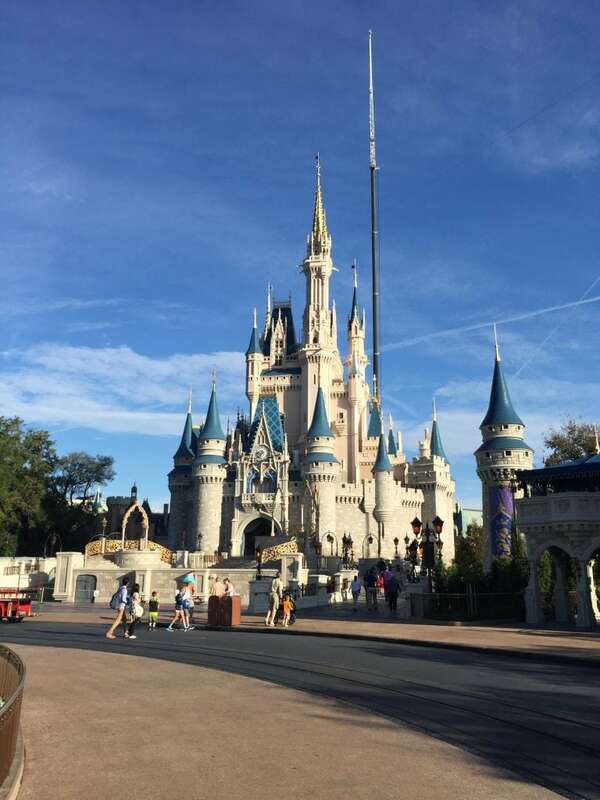 Magic Kingdom is the most toddler friendly park in Disney World so if you have very young children you are going to want to spend a few days exploring this park. 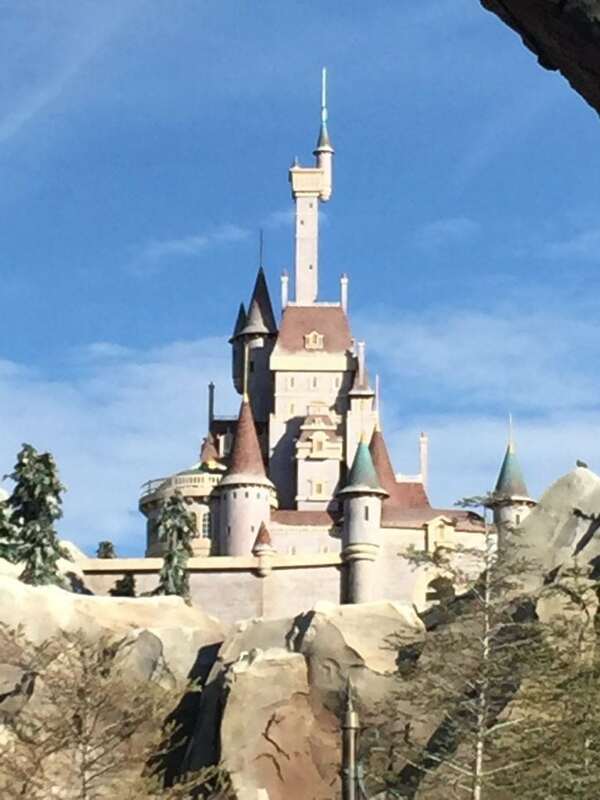 Magic Kingdom is divided into several different themed lands: Fantasyland, Tomorrowland, Frontierland and Adventureland each with a different adventure waiting for you. If you love a great adventure be sure to check out Splash Mountain and Big Thunder Railroad these are two of my favorites! There are some pretty long lines for The Mine Train and some of the more adventurous rides so use those fast passes! Some of my favorite things about trips to Disney are the parades and shows that pop up all over the park. The Festival of Fantasy Parade is absolutely amazing. It is filled with our favorite characters and beautiful floats from iconic Disney films like Sleeping Beauty and Pixar’s Toy Story. The Main Street Electrical Parade lights up Main Street at night and allows you to see your favorite characters in a whole new way. 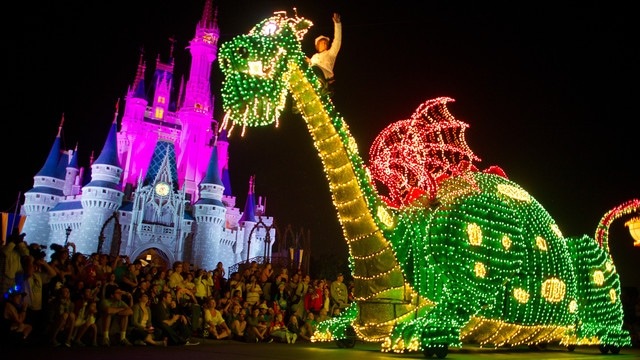 The iconic fireworks show, Celebrate the Magic, should not be missed. Young and old alike will love the castle as it lights up like never before. When I think about Magic Kingdom, I immediately get excited about shopping! Main Street U.S.A. has some of the best Disney shops in all of Disney World. I made sure to stop by Starbucks to purchase my souvenir Magic Kingdom mug. I also had to visit the confectionary where you can get some amazing desserts to share with your family. My kids loved the Micky sugar cookies I took home to them and almost forgave me for leaving them behind. If you are looking for a souvenir, chances are the shops on Main Street U.S.A will have them. Be sure to look at them and keep an eye out for the new Zootopia merchandise. Speaking of Zootopia, have you seen the number 1 movie in the world yet? Zootopia broke box office records this week and is a huge hit world wide! Make sure you go soon so you know what all the hype is about.